PE0215. BETTY IN MAYFAIR (Harold Fraser-Simson & Harry Graham), w.Charles Prentice Cond.Adelphi Theatre Ensemble; Evelyn Laye, Mary Leigh, Jack Hobbs & Arthur Margotson. 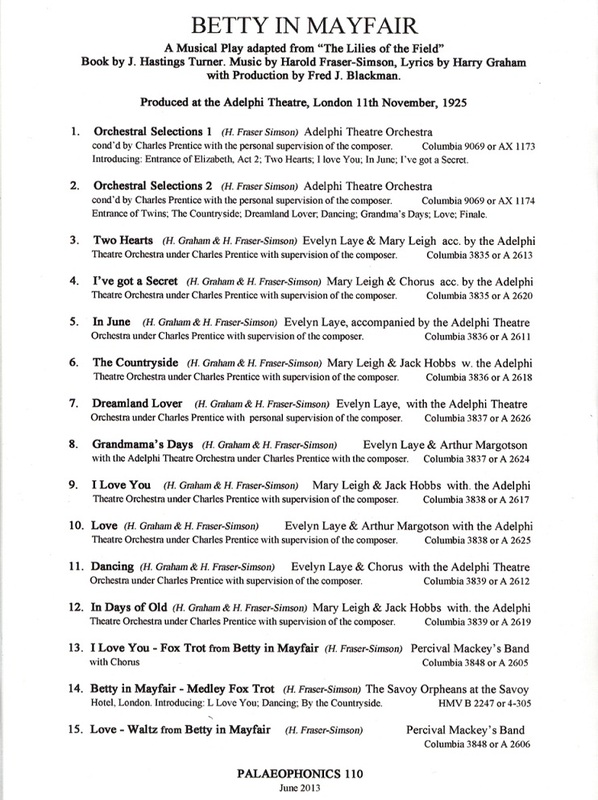 (England) Palaeophonics 110, recorded 1925, Complete, as Recorded, w.Elaborate ‘The Play’ 20pp. Brochure replete w.photos from the London production & facsimile of original brochure. 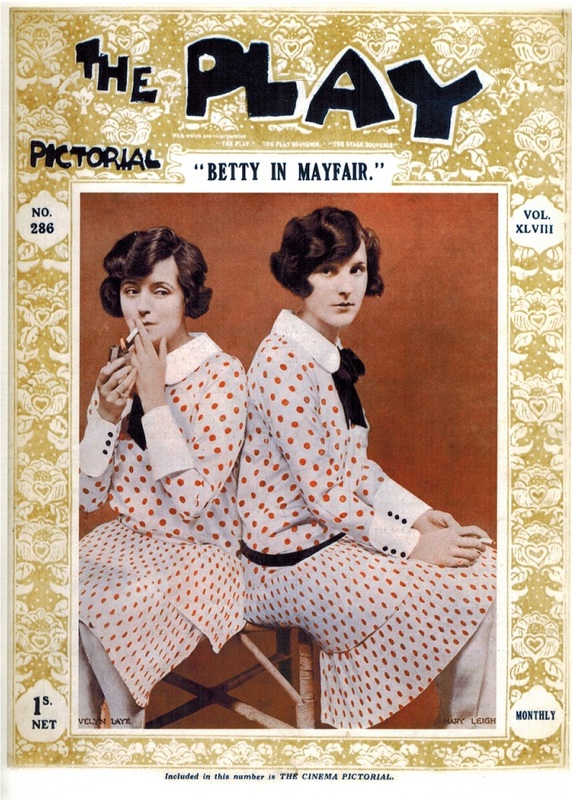 BETTY IN MAYFAIR was produced at the Adelphi Theatre, London, on 11 Nov., 1925, transferred to the Shaftesbury Theatre, and closed there on 3 April, 1926, after a run of 193 performances. “This 1925 three-act musical play was adapted by J. Hastings Turner from his own play, THE LILIES OF THE FIELD, with music by Harold Fraser-Simson and lyrics by Harry Graham. As a musician, Harold Fraser-Simson is remembered for his work in the theatre primarily as a composer of musical comedies. Fraser-Simson's music tended towards the old-fashioned European romantic songs, in contrast to the ragtime, jazz and other American dance music that began to be used in musicals during World War I.
Evelyn Laye was an English theatre and musical film actress, who was active on the London light opera stage. Born as Elsie Evelyn Lay in Bloomsbury, London, and known professionally as Evelyn Laye, and informally as Bo . Her parents were both actors and her father a theatre manager. She made her first stage appearance in 1915 at the Theatre Royal, Brighton as Nang-Ping in MR. WU, and her first London appearance at the East Ham Palace on 24 April 1916, aged 14, in the revue HONI SOIT, in which she subsequently toured.